Prev Olympic Medal Cupcakes! Next Happy Pi Day Printable Flags! Wintertime is citrus season which is perfect for getting in a little extra vitamin C when we are experiencing a worse than usual cold and flu season. 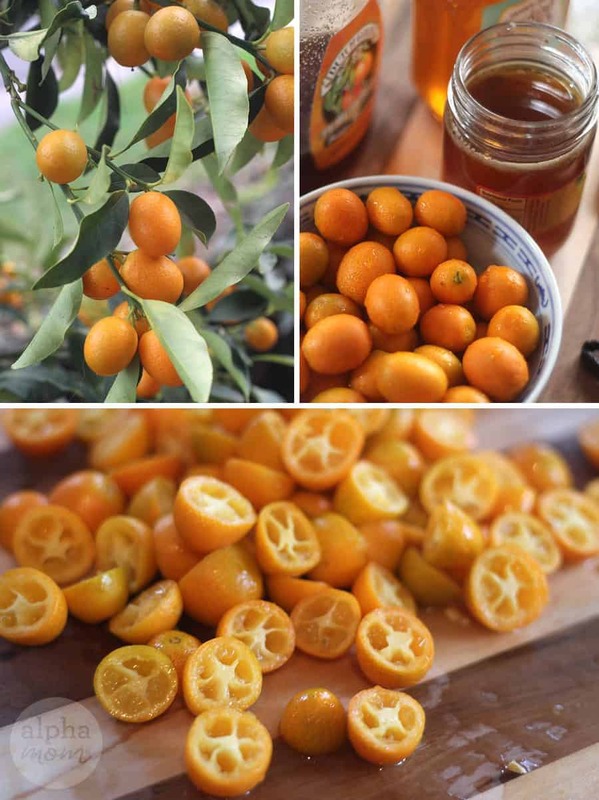 These little beauties are called kumquats and they are tiny Vitamin C bombs that grow on a tree! Not everyone knows what they are and usually people are pretty blown away by the fact that you eat the whole thing, skin and all! The skin is sweet and the pulp is very tart but combined they make an addictive treat! 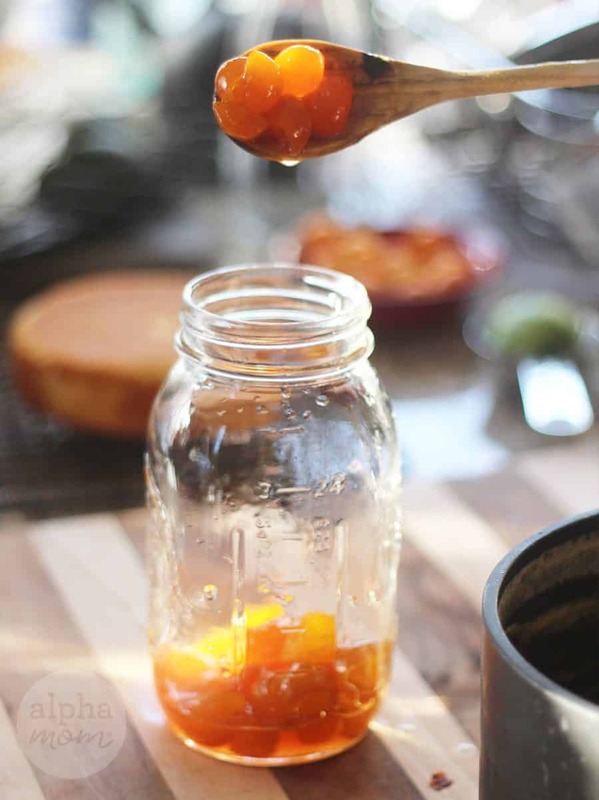 Because I’m in southern California, we’ve had a lot of kumquats show up in our local CSA boxes this season, and they’ve been growing on our front yard tree so we’ve been looking for fun recipes to take advantage of this year’s bountiful crop. 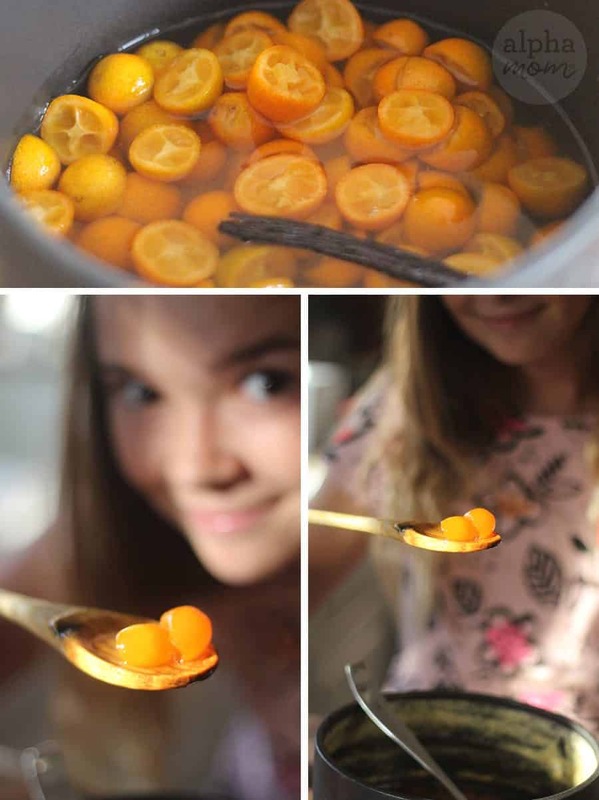 One of my favorite things to do with kumquats is to candy them. 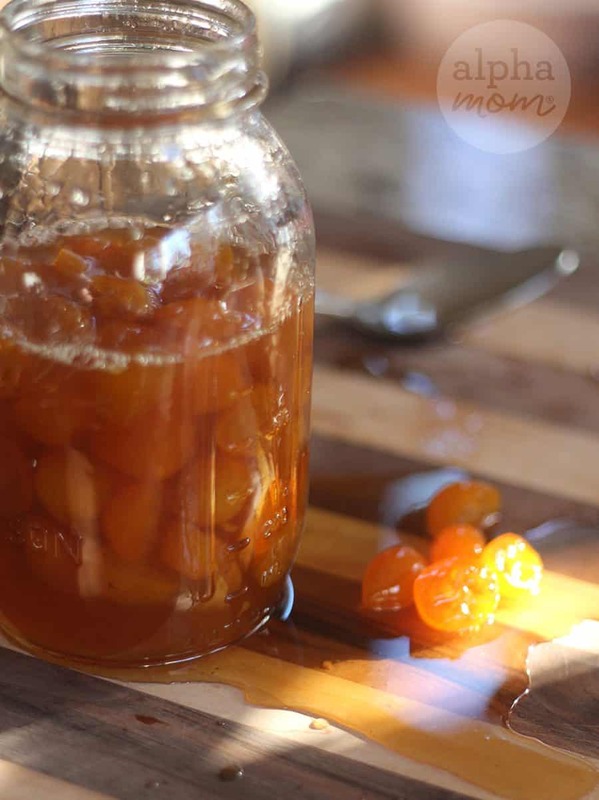 I especially love this recipe because it calls for honey and not quite as much sugar as most jam recipes. Instead of slicing the kumquats lengthwise as the recipe calls for, I slice them in half crosswise because I love how cute they look cross-sectioned and it makes it especially easy to remove the seeds. We boiled them away in their sugary, honey, vanilla solution and they magically turned into little candy gems. So sweet and my kitchen smelled amazing! Then we put them in a jar. They’ll keep this way for up three months in the refrigerator but of course ours never last that long. It might be fun to package them up in small jars and give them away as gifts! 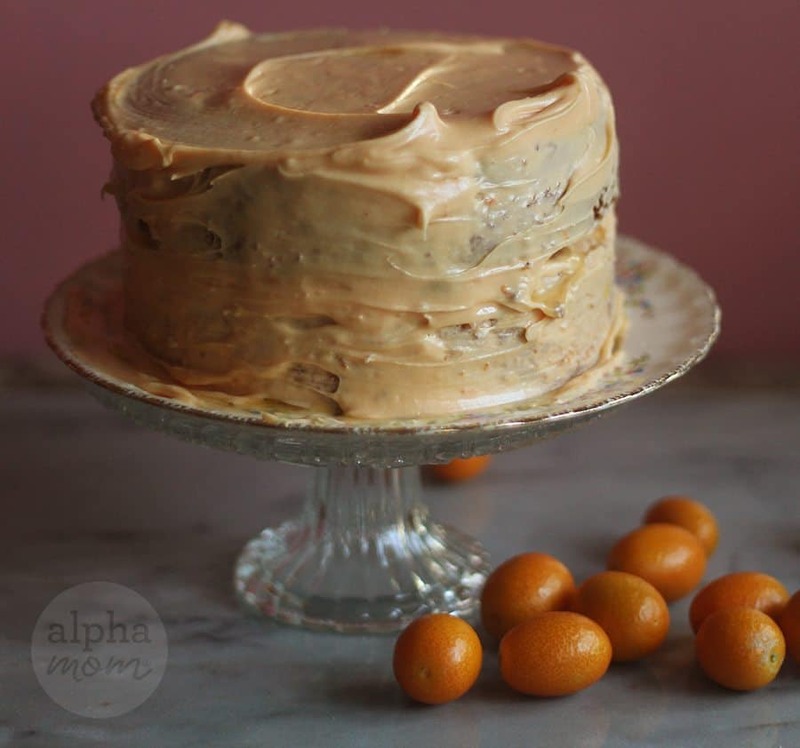 But I decided to make a yummy citrus cake and use them as a filling and topper instead! Here is my Grandmother’s Citrus Cake Recipe that I’m happy to share but any lemon or lime cake recipe will do. In a large bowl mix sugar, flower, baking soda, lemon or lime zest and salt. Add butter to the dry ingredients in the first bowl one slice at a time. Mix until it looks like grainy sand. In a second bowl mix eggs, milk and citrus juice with a fork. Slowly add the wet ingredients to the first bowl making a fluffy batter. Bake at 350 for 30-35 minutes. Check with a toothpick in the middle to see if done. You might need to add time. Once your cakes have cooled, top one layer with a delicious lemon or lime cream cheese frosting. I always use this recipe. 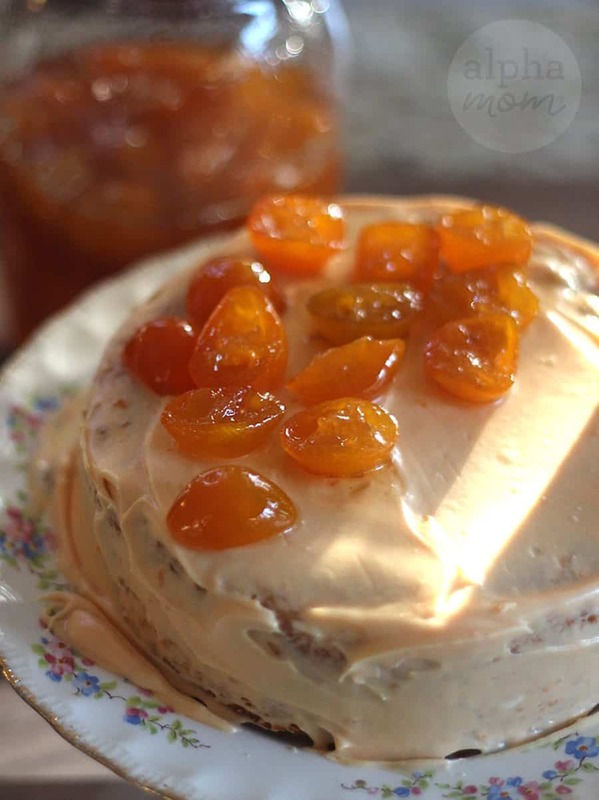 Spoon an even layer of candied kumquats on top of the first layer of cake. Don’t worry, the juice will run a little bit but that makes it more delicious! Then top it with your second layer of cake and frost that too. 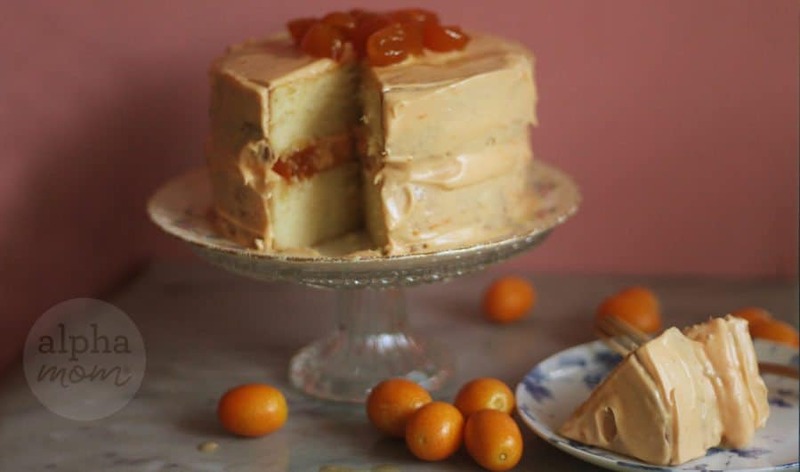 It’s not the most perfect looking cake because of the juice of the kumquats oozing out here and there but that’s what makes it even more amazing to me. Wait until you taste it. 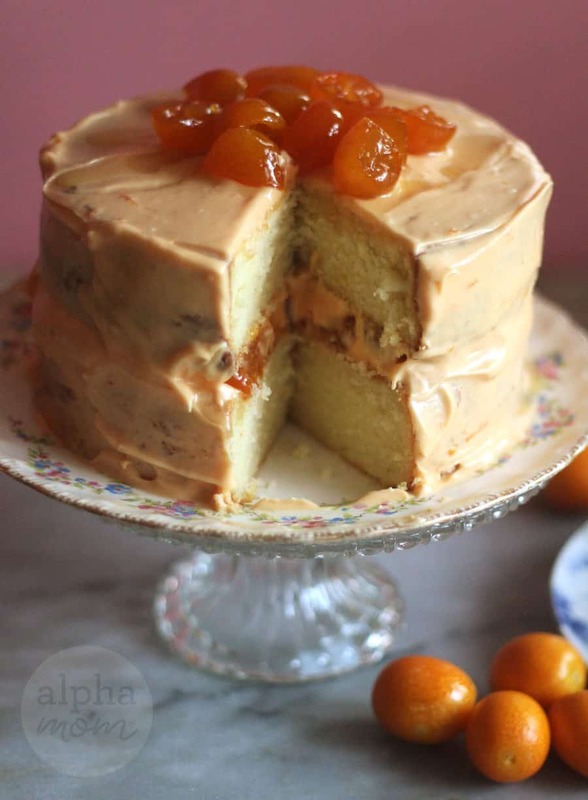 The tartness of the kumquats mixed with the cream cheese and lightly sweet citrus cake is perfect! 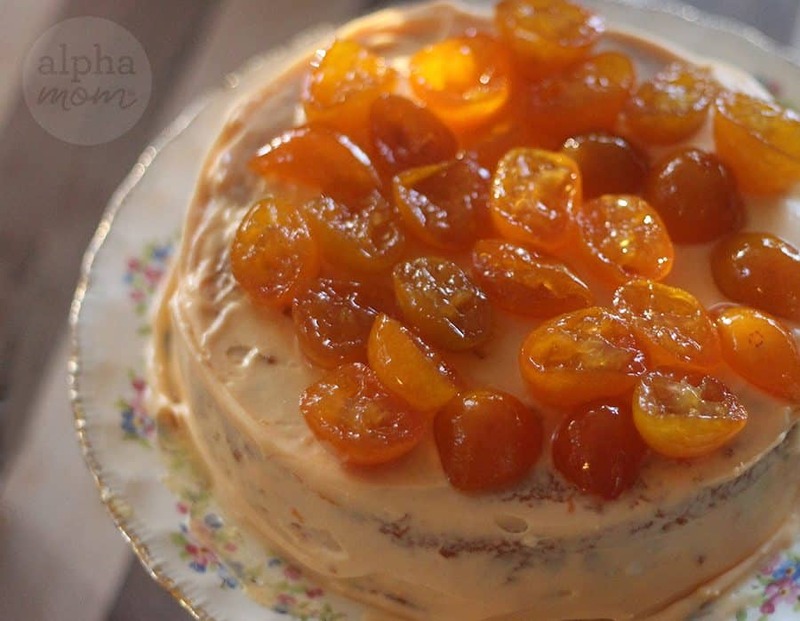 Top the cake with a few more kumquats for decoration and you are ready to serve the queen or anybody who happens to be around, or maybe even just yourself.